EnSol Frost is a safe and environmentally-friendly solution to working with food products without damaging the lithium battery or reducing its capacity in a freezer storage. EnSol Frost allows for operation and charging at temperatures as low as –20F. EnSol Frost battery capacity maintains 95% of the rated capacity even at extremely low operating temperatures. It is especially effective in long-term operation in cold storage where product preservation often requires equipment to remain in freezing temperatures. Conventional batteries, when operating in such harsh conditions, lose 30-50% of their capacity, and are discharged quickly. Ensol Frost batteries can also be charged at -20F. 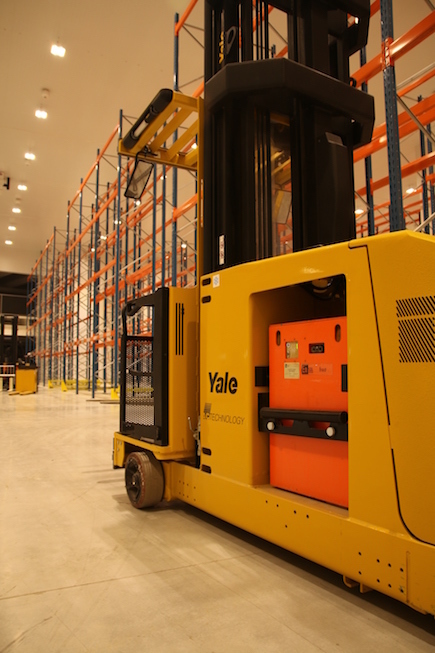 EnSol Batteries specifically designed for a warehouse environment.